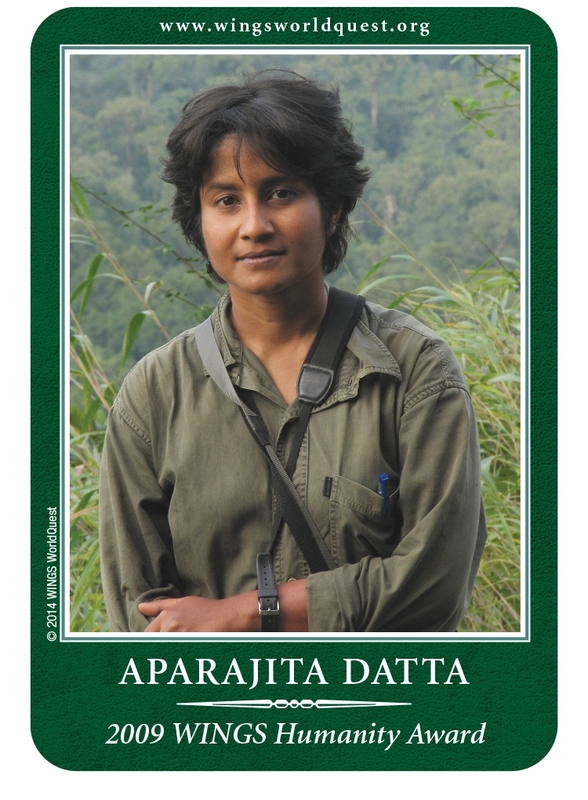 Conservation Expert/Wildlife Biologist & Ecologist Aparajita Datta engaged in long-term protection of threatened wildlife with local communities in northeast India. She has discovered two species of little-known muntjacs (deer) in Arunachal's forests, and a new species of monkey (the Arunachal macaque Macaca munzala Mammal) during her yearly exploration surveys in western & eastern Arunachal, India. Best Discovery: Every day in the forest is full of small discoveries! Understanding a bit about the intricate connections between plants and animals in a forest, finding two species of little-known muntjacs (deer) in Arunachal’s forests and a new species of monkey (the Arunachal macaque Macaca munzala) with NCF colleagues in 2004. Favorite Items to Have in the Field: Camera, binoculars, field notebook, water, leech-proof socks! Personal Hero: My grandfather for his courage, Gerald Durrell, David Attenborough for introducing me to the world of animals as a child, Dr. AJT Johnsingh (my teacher) for inspiring a generation of Indian wildlife biologists. Advice: Don’t ever lose your curiosity and sense of wonder. I love what Don Juan, a Yaqui Indian said: “For me there is only the traveling on the paths that have heart, on any path that may have heart. There I travel, and the only worthwhile challenge for me is to traverse its full length. And there I travel—looking, looking, breathlessly."